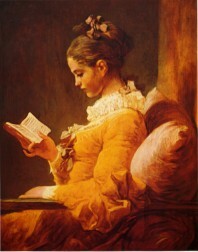 YOUNG GIRL READING PRINT 10" X 8"
Print has a white border which can be displayed, trimmed, or covered with mattes. The original painting is on display at the National Gallery of Art, Washington, DC. Print is shipped in a tube.